All Access Scaffolding Leicester, have years of experience in the trade. With over 20 years combined experience you can be sure to expect a swift, professional service. We cover the whole of Leicestershire including Melton and Rugby. 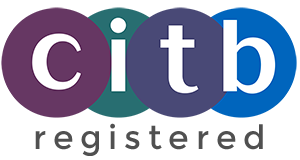 We are fully CITB registered, ensuring the skills required to provide a safe and secure platform, whatever your requirements. From residential roof platforms to large commercial premises, we have it covered. Request a quote today. All Access Scaffolding can provide a complete commercial scaffolding solution. With our years of experience within the trade, we understand the importance of a quick, professional service. If you would like to request a quote or discuss your project further, please get in touch. We can cater for all of your residential scaffolding at a competitive price. From new builds, extensions or general exterior maintenance, we can provide a swift and affordable solution. If you are interested in any of our residential services, request a free quote today.